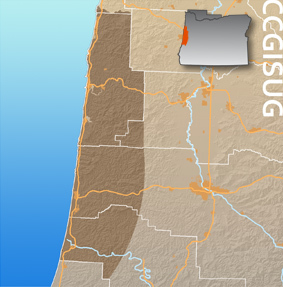 The Central Coast GIS Users Group (CCGISUG) was formed to promote networking between GIS professionals, students, and others on the Central Oregon Coast involved in mapping and geospatial technologies and to provide the opportunity for them to exchange ideas and experiences; address common problems and concerns; obtain advice; and participate in training and education. Membership is free! We're mostly on hiatus from meetings. If you are interested in organizing meetings, contact us. We still converse on the list.